← I say… Set Them Free! I mean how hard can it be – I thought. In and out, in and out… how did Caroline Kremer think I had lived for the last (almost) 43 years. But she has her hand on my diaphragm, as I lie on a practitioner bed above South Molton Street, and she’s looking terribly serious… so I listen and obey. And then… moments later.. we’re mid (lung) workout and I’m learning something new and different and positively exciting. 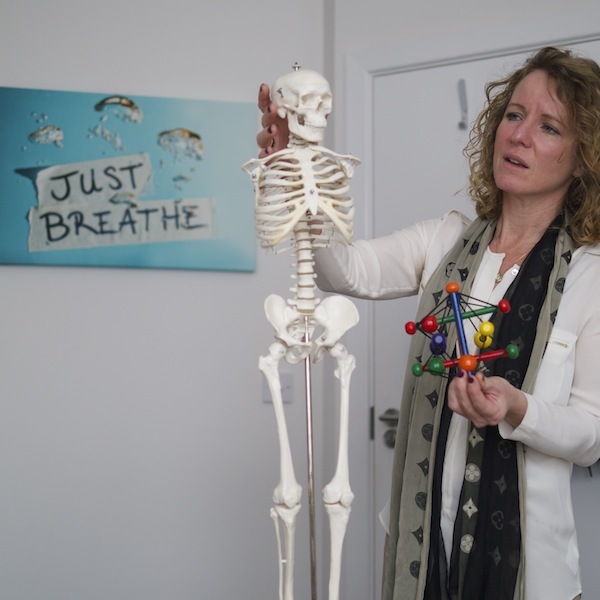 Kremer is probably the UK’s leading authority on analysing mal-alignment (with many elite clients) as well as London’s principal Bowen practitioner but she has now launched ‘Just Breathe’ in a bid to point out just how much we are underusing our lungs. 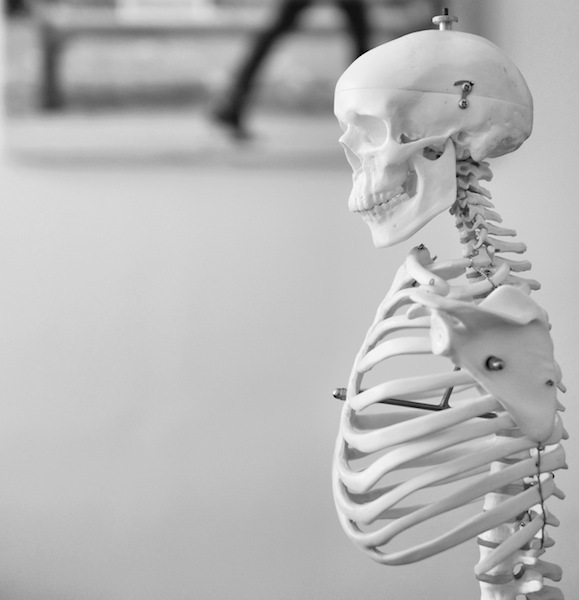 She introduces me to Frank, her skeleton, and shows me how, when you breathe properly, the diaphragm massages the heart, back muscles, neck and those vital organs. And again I take a breath… before breathing out while making a full-on hissing noise. Kremer asks me to let it out s l o w l y and just when I think I have no more air left to exhale, she asks me to breathe out some more. Pause. Then breathe in again. After only two breaths I feel ridiculously amazing. Obviously we can’t breathe like this all day long but just 5 breaths a day (of our on average 20,000) can make us feel much more relaxed. So it turns out Kremer is onto something. Having worked out that none of us use our lungs properly, she has taken the Bowen technique, combined it with her alignment practice and added in her crucial (patented) twist called Just Breathe. Caroline has her own amazing story to tell so we didn’t just breathe when we met. Tragically, her husband died young of cancer and she was left with a ski business to wrap up and her three young daughters. Her calm yet determined manner is quite astounding and makes her ‘Just Breathe’ method that bit more engaging. Besides, she clearly practices what she preaches and so – along with better posture, alleviated back pain and an oxygenated body – you leave feeling a whole lot calmer.